Nu-Heat is delighted that our BufferBox100™ has been nominated to win an award within the Ancillary Components category at the prestigious National Heat Pump Awards. The awards are being held at the Birmingham International Convention Centre on Thursday May 31st and were initiated by Warners Group Publications, publishers of ACR Today, Consulting Engineer and Heat Pumps Today, to celebrate ‘excellence in the field of heat pump technology’. The BufferBox100™ is cuboid as opposed a traditional cylindrical tank and the tank is structural, allowing it to bear the weight of a DHW cylinder. This means that the buffer tank and the DHW cylinder have a single footprint between them, saving space – essential for the UK market, where space is often at a premium. Bufferbox100™ is specifically designed for use with the single and twin fan Hitachi Yutaki-M air source heat pumps, being used as part of the defrost function as well as buffering the heating load, an essential element of the system. What are the benefits of this product to the installer? Bufferbox100™ is lightweight and compact enough to be moved easily by two people. All plumbing connections are on the front, making connections simpler. Bufferbox100™ is pre-fitted with an air vent to facilitate purging. 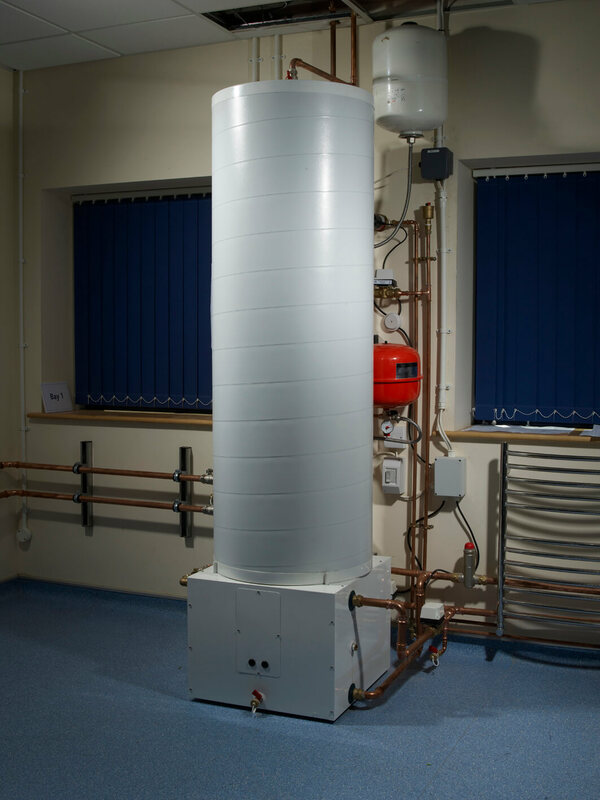 Bufferbox100™ has the facility for an immersion heater to be fitted for backup heating if required to meet MIS 3005 requirements; this also supports any emergency situations. What are the benefits of this product to the customer? Bufferbox100™ has a good aesthetic profile. 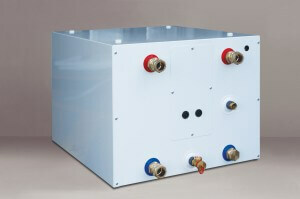 Bufferbox100™ allows a fully thermostatically controlled system to be designed. In 2011 Nu-Heat was thrilled to win the Training Excellence category at the very first National Heat Pump Awards in a hotly contested category.